Happy holidays from the Disney Showcase Collection! 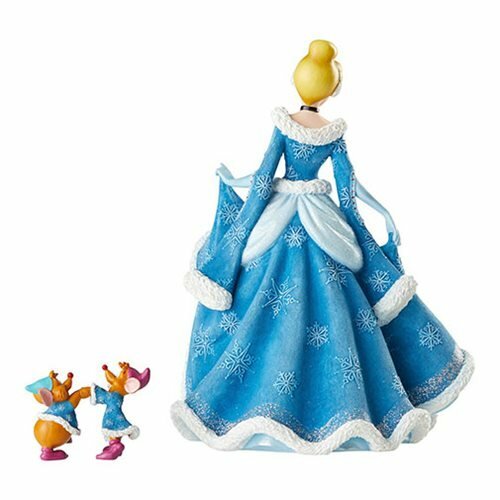 Cinderella and her little friends, couldn't be more excited or festive than they appear in this marvelous Disney Showcase Holiday Cinderella with Mice Statue. 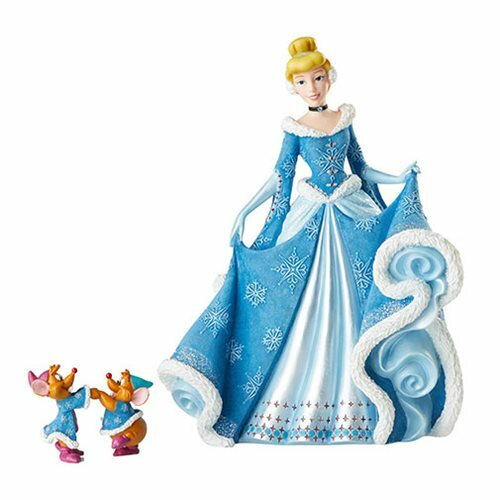 Wearing her favorite blue winter dress, this polyresin statue is a must have for Disney fans! Measures about 8 2/5-inches tall x 6 2/5-inches long x 4 9/10-inches wide.